Burlap Grandma Heart Shaped Stuffed Pillow With Red Polka Dots is made with a high quality burlap. 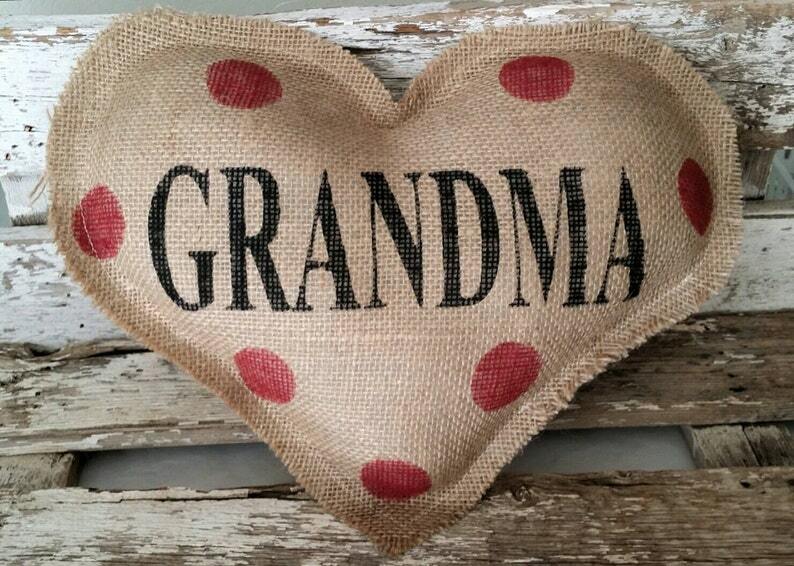 This pillow makes a great Mother's Day, Birthday Gift or just to say I Love You Grandma! What a cute way to let your Grandma know how much you love her, she will feel your love every time she sees this pillow.